A new iOS 9 bug has been causing users rushed mornings due to Apple's new overnight update feature. 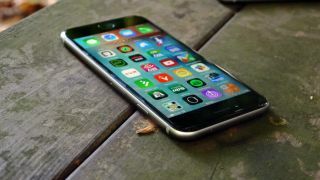 According to a report from AppleInsider, the iOS 9.1 update, which was released last week, has a bug that turns off a user's set alarm the morning after the update. Numerous users took to Twitter to report and complain about the update, with one user, Batzian, tweeting, "iPhone: Would you like to update to iOS 9.1? Me: No thanks, do it overnight so my alarm doesn't go off and I'm an hour late for work!" It looks like the issue resolves itself after the installation, just not the morning after the update. This isn't the first alarm-effecting bug to hit the latest iOS, with iOS 9.0.1 bringing with it a fix for an issue where sometimes alarms and timers could fail to play. Apple hasn't responded to the issue yet, but we imagine a fix will be in soon.